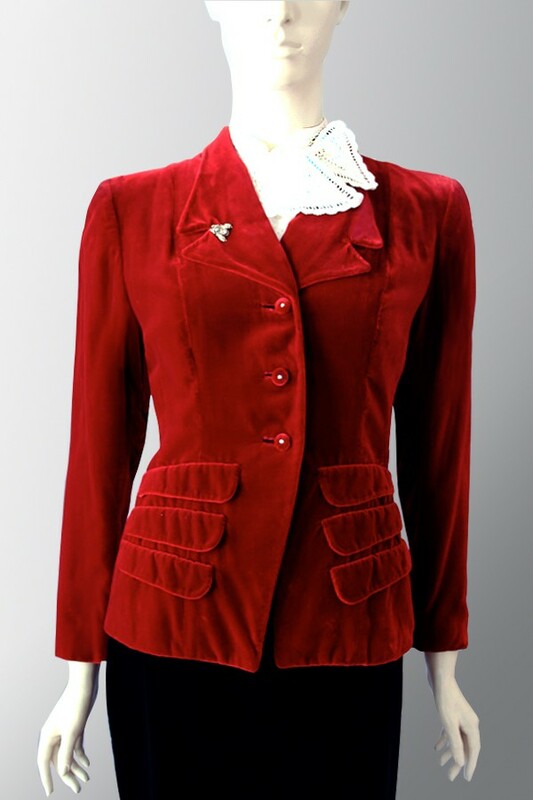 Divine vintage 1940s dark-red, silk-velvet evening jacket by Miller’s Exclusive Smart Wear of Chicago. Rare example of a 1940s or possibly slightly earlier evening jacket in the most beautiful dark red silk velvet. So rich and luxurious to touch. Fitted styling with two panels on each side at front and four panels at back. The shoulders have subtle padding. 1940s silk velvet evening jacket, has three button closing at front. 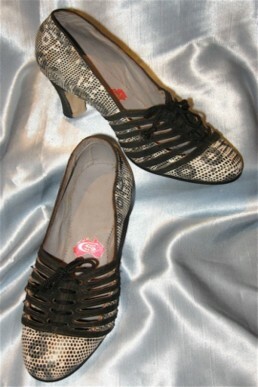 Each velvet-covered button has a small rhinestone in the centre. The revere collar is finished off with a darling little rhinestone broach in the shape of some sort of insect. There are three faux pocket flaps on each hip. The back placket is also finished with 5 tiny velvet-covered buttons. Lined with dark-red silk. Please note The vintage 50s white blouse this jacket is photographed with is not included in price but is for sale separately. Condition Excellent wearable vintage condition. Just a couple of small scuffs in the velvet. 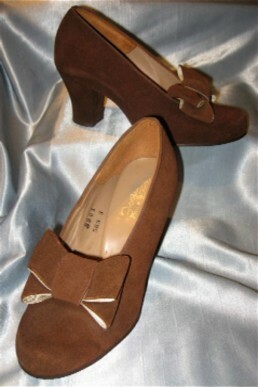 Please check measurements as the waist measurements were very small and the girls shorter in the 1940s. Measurements are measured flat on dress so please remember to allow room to move. It is always a good idea to check measurements against a dress that you know fits.